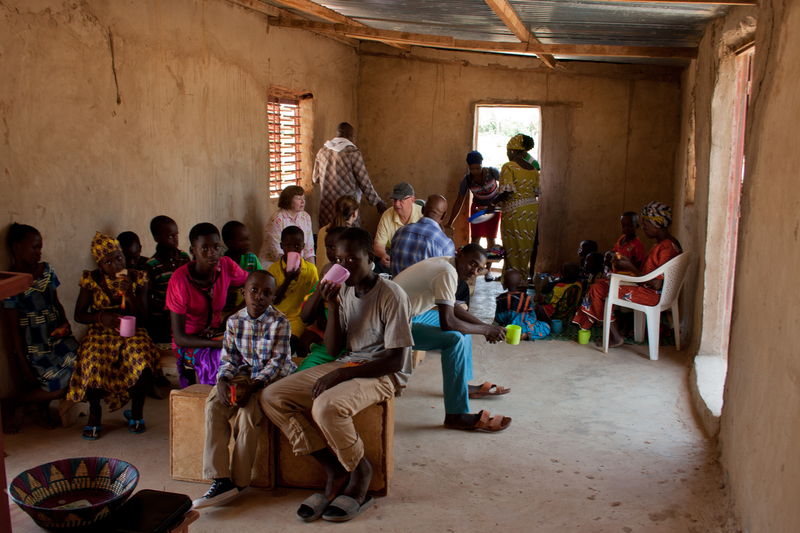 As our work in Haiti continues, a natural overflow of that ministry became apparent to church leadership as doors were opened in Burkina Faso, a french-speaking nation in West Africa. Burkina Faso is a country of close to 20 million, with the majority of the population being Muslim (53%). It is also one of the most financially impoverished countries in the world. 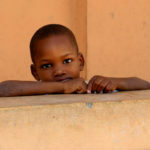 We have chosen to partner with Global Hope Network International and adopt a village (“KB”) in Burkina Faso. The long-term goal is to see gospel transformation as we build a partnership with this village based on mutual trust and shared respect. We will work with KB in five key areas: water, food, wellness, education, and income. While these physical improvements are happening, we are also working with a local pastor and church planter who is sharing Christ with the villagers as he and his wife live and work among them. The vision can then spread to surrounding West Africa villages as KB becomes a training hub for Transformational Community Development. 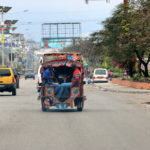 Consider being a prayer partner for a Haiti or Burkina Faso team. Receive regular prayer updates and commit to praying for teams that go to these countries. As a church, we have committed annual funding for Transformational Community Development in the village of KB. We are also helping to find another sustainable water source and establishing a goat loan program. 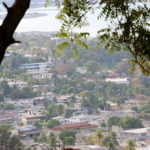 Hershey Free Church is part of a Haiti consortium, comprised of Haitian Leaders, American churches, and ReachGlobal (the missions arm of the Evangelical Free Church of America). The consortium’s vision is to see an indigenous, disciple-making and multiplying church within walking distance of every Haitian. Ongoing relationships provide an incredible catalyst for ministry. Hershey Free has been involved in ministry in Haiti since 2012. Our primary partnership relationship has been with STEP Seminary in Port-au-Prince, whose vision is to prepare leaders who will transform Haitian society. Additionally, we’ve continued to work with ReachGlobal through GlobalFingerprints Child Sponsorship in Haiti. We’ve also continued our involvement in the Haiti Consortium to help equip and mobilize leaders in the Haitian church. In 2019, we have a number of Global Ministry Team Haiti trips planned. There will be medical teams, construction teams, children’s ministry teams, and family teams. Do you feel a calling to be part of our ongoing relationship in Haiti? Global Ministry Teams are groups of people from Hershey Free Church sent to serve alongside our partners and long-term missionaries to accomplish meaningful gospel ministry, deepen relationships with partners and see lasting spiritual growth in team members’ lives. This medical team will work with ReachGlobal (the mission branch of the Evangelical Free Church of America). GlobalFingerprints is ReachGlobal’s child sponsorship program. Children who participate in GlobalFingerprints receive medical check-ups twice a year. In addition to focusing on GlobalFingerprints, this team will experience ministry work in a rural community of Gressier. This team will assist STEP Seminary in construction projects. Teams such as this encourage the people in Haiti but also provide opportunities for team members from Hershey Free Church to be stretched as they experience living with Jesus and loving like Jesus in a tangible way. Haitians will be shown God’s love while having the gospel presented. This team will serve with STEP staff, holding soccer camp for children and youth as a way to build relationships and share the gospel. Team members from Hershey Free Church will experience living with Jesus and loving like Jesus in a tangible way while helping STEP staff and students develop relationships in the surrounding community. This team will venture with Wawa (President of STEP Seminary) and STEP students from Port-au-Prince to a rural village to engage in ministry. The team will serve alongside STEP students and the local pastor in community outreach with activities such as prayer walks, visitation, and children’s ministry. Click here to donate toward this team’s expenses. This team is combination of both a medical team and a construction team. The medical team will work alongside Haitians to serve through medical services and in a mobile clinic. Medical care is an outreach service that STEP provides to the surrounding community. Community relations and health are improved as the gospel is shared in word and in deed. 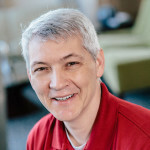 The construction team will assist STEP Seminary students in construction projects in order to build relationships in the community and present the gospel through word and deed. Students currently in grades 10 to 12 will have the opportunity to serve with ReachGlobal in the community of Gressier in Haiti. Hershey Free Church has an ongoing relationship with STEP, a seminary in Port-au-Prince. This Global Ministry Team will serve alongside STEP students as they reach out into the local community near STEP through children’s ministries. Children from the surrounding community are largely unchurched, but they are very responsive to the gospel. By participating in this team, you are not simply helping with VBS activities. Rather, you are a part of a larger vision, and serving in this way helps to create opportunities for the STEP students to foster longer-term relationships with the children and their families. These relationships contribute to transformational, community development. Go as a family to experience missions together and to serve in Haiti! This team will serve with ReachGlobal on a variety of projects and activities. Families will celebrate a Thanksgiving meal with missionaries in Haiti. At STEP, there is a dorm- style- like setting with bedrooms, one shower per bedroom, and a common living area. It looks like a small house from the outside and is quite spacious. At ReachGlobal, there are also several bedrooms and each has bunk beds. There are three bathrooms indoors and several showers outdoors. Not at all, but there will be fans; and electricity is available for the most part. So how hot is it, really? VERY. You will sweat. A lot. The best piece of advice I got was to pack extra undergarments and socks. Ladies, leave your make up at home; it is not even worth it. It is quite large in that you will not understand Haitian Creole overnight; however there are some words and phrases that are taught ahead of time to break the ice. In addition, many seminary students at STEP speak some English and are eager to help translate and teach some of their language to you. I have heard about the poverty. Is it as bad as what I have in my head? I do not know what you have in your head, but there is definitely a shock factor that comes into play when you enter Haiti. There are different smells, no public trash system, and people may appear very impoverished. Homes are not like what we see in the United States. However, take notice of the culture and the colors and the decor used for the tap taps. This country and these people are beautiful! Taking photos in the community is discouraged. This is the home of many people, and we do not want to encroach on their space. There will be times to capture some of the general area on the truck ride and around STEP. At ReachGlobal, ask a missionary for their input on when to take pictures. Although there has been political unrest and there is gang involvement, the country is relatively safe to Americans and STEP seminary has a great relationship with the surrounding communities. However, you still have to follow some rules such as not leaving the seminary by yourself. How hard is it to raise the funds? There are many ways to go about this task including letters, hosting a yard sale, and other ways to fund raise. It just takes some effort on the part of the person going. It is delicious! There are a lot of rice and beans-type meals, and it is tasty. I have a food allergy; is it accommodated? Talk with the team leader that is heading the team you are interested in. The hosts are awesome and accommodating. Are there any health precautions I should take? Be aware that there are vaccinations that you may have to get. There are also malaria pills that will be needed to prevent sickness as much as possible. 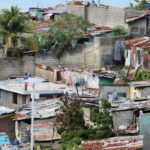 Talk to your doctor about going to Haiti and they will be able to point you in the right direction. Haiti is different from the US. Haitians take great pride in their dress when meeting with others. Talk to your team leader about appropriate dress. Men, while working or in the community, long pants are best—jeans are fine. For church on Sunday, long-sleeve, button down shirt and dress pants are highly recommended. Women should wear long skirts on Sundays, and it’s recommended that you always have your shoulders covered.